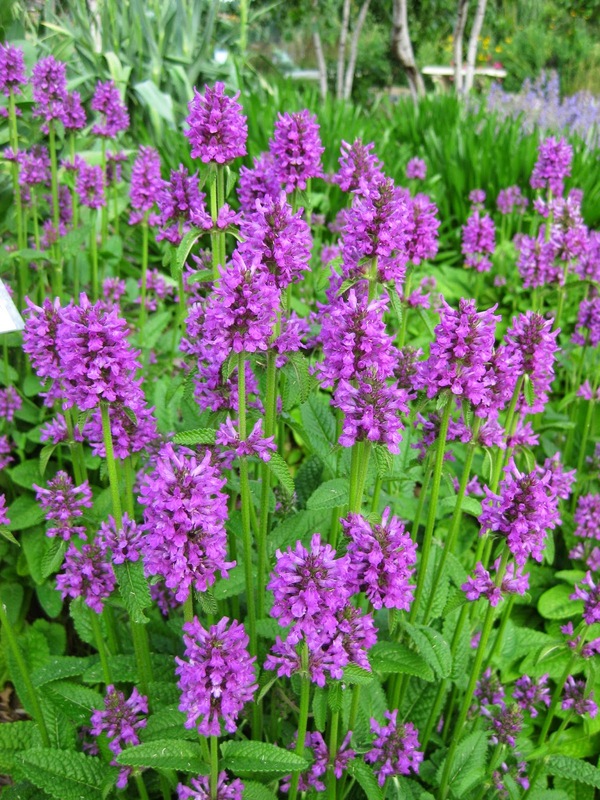 An entirely underused perennial is the wood betony (Stachys officinalis) which really is a tough and durable plant with plenty of visual appeal. 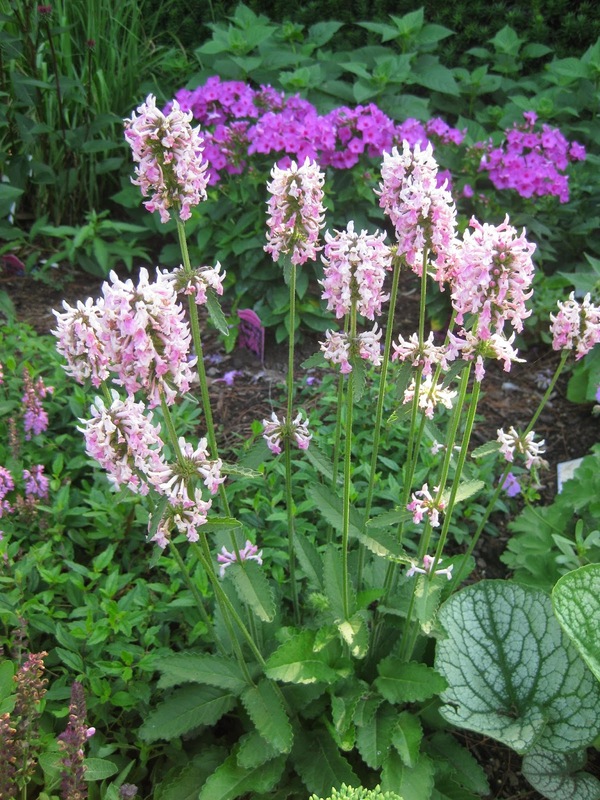 The variety ‘Hummelo’ can be seen above and below and is one of the most popular varietal selections out on the market (sometimes sold as Stachys monieri). See further below for my favorite: ‘Pink Cotton Candy’! 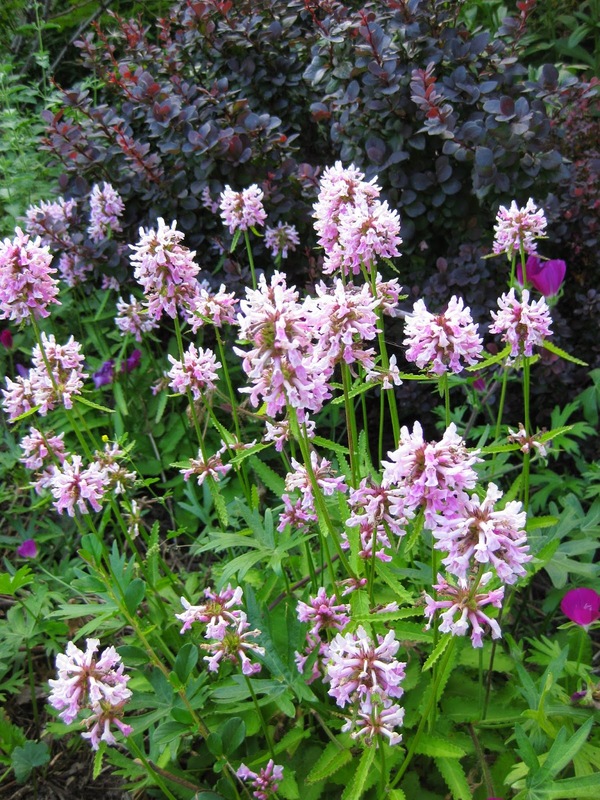 Native to grasslands in both Europe and Asia, this plant can tolerate average, well-drained soils and is drought tolerant once established. 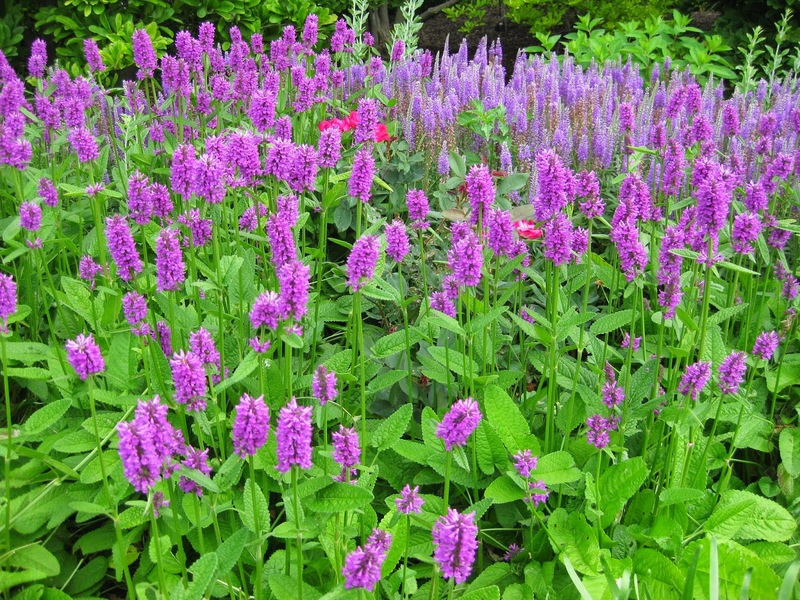 Don’t plant this species in overly damp soils though. Most varieties will reach a height of 15″-18″ in a season and the bloom period extends almost two months in the summer with scattered blooms late in the season. 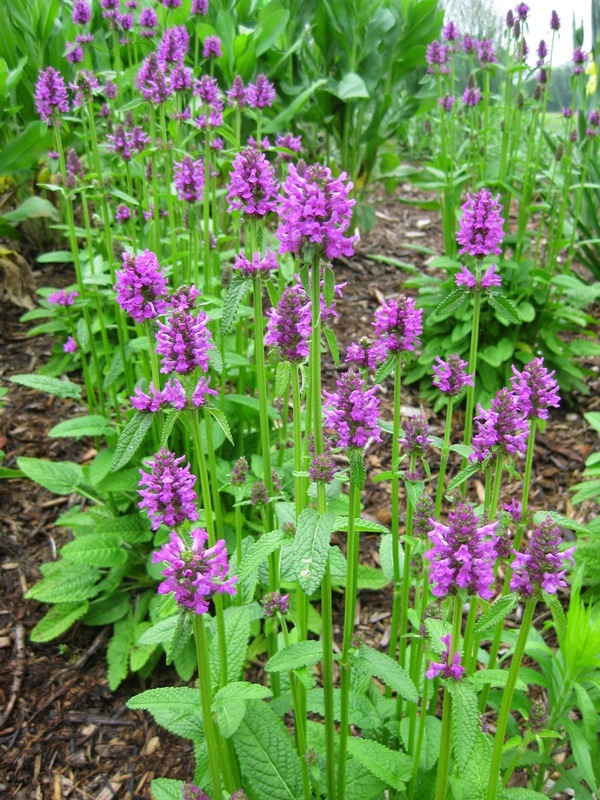 A wide range of bees and butterflies will visit wood betony in bloom. 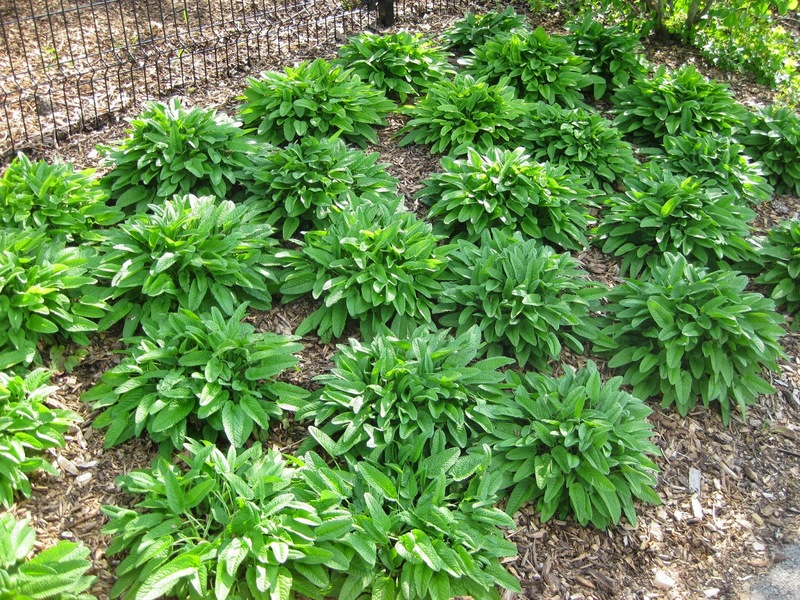 This perennial prefers full sun (best) or part shade and also features wrinkled leaves rarely affected by insects or diseases. 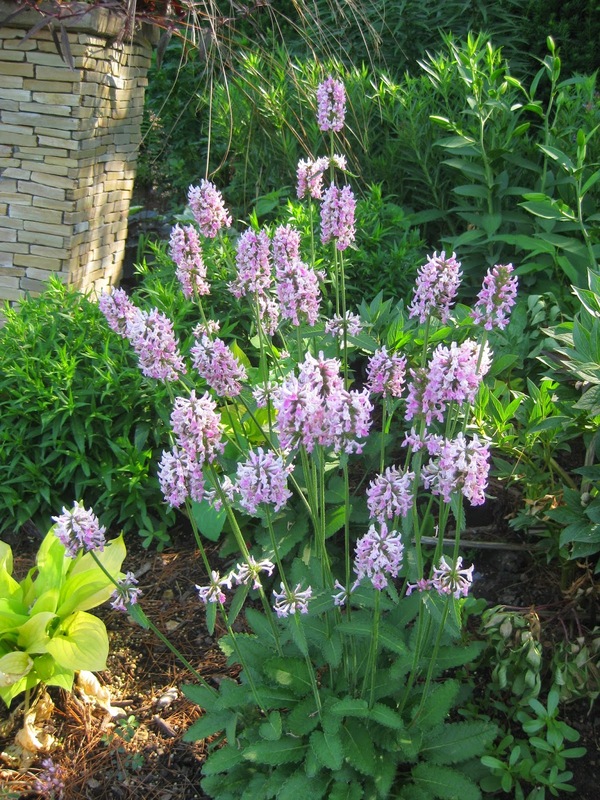 We first planted this perennial in our Scottish garden where it has thrived in part shade. 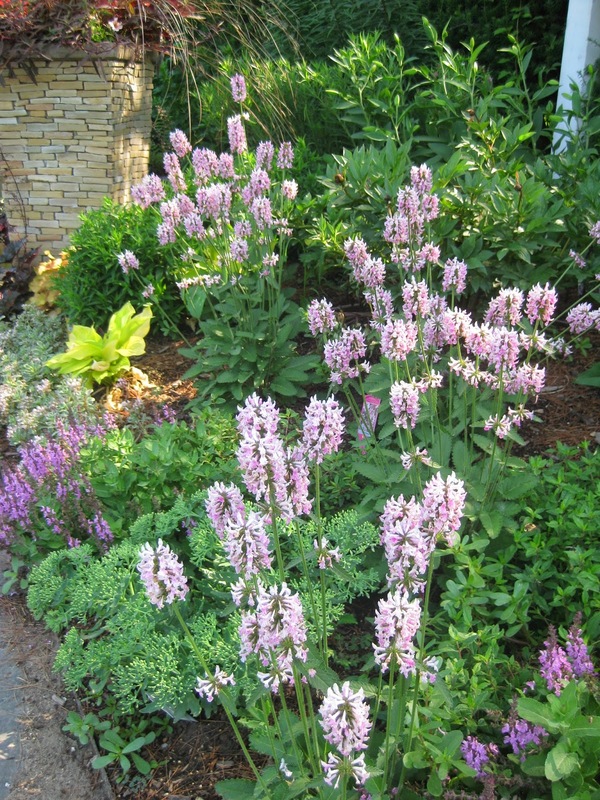 These “bottlebrush” like blossoms (mostly shades of pink and purple) make this plant appear more like a salvia than the close relative of wood betony; lamb’s ears (Stachys byzantina). 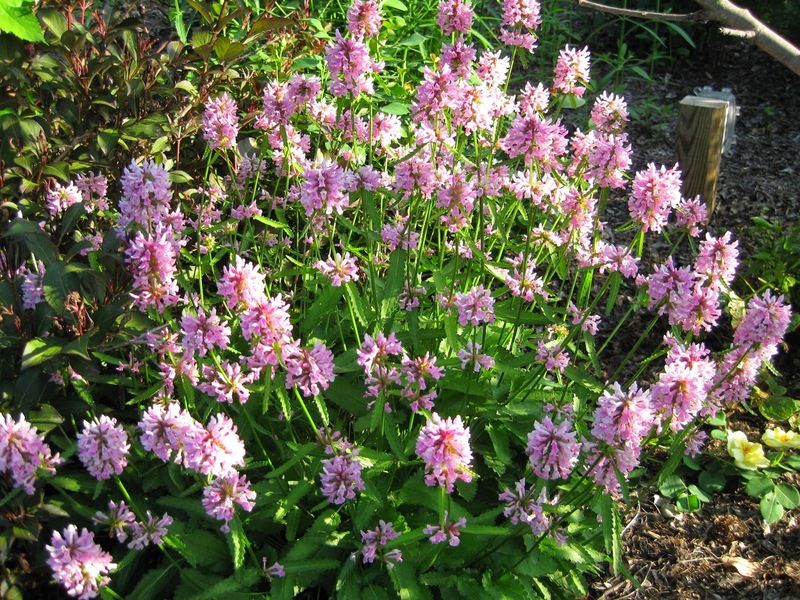 This is also a great plant for combining with other neighbors! Today was a bit warmer than yesterday although the cold spell will return shortly. Tonight we have our Volunteer Soup Dinner which is a fun event we started many years ago. We typically have two or three of these over the winter months to connect our volunteers, talk about what’s happening out in the gardens and we also will potentially recruit some new volunteers as well. Our Volunteer Committee has done a nice job putting this event together. I’ll do a presentation that will include some highlights of trip to Denver last summer for the American Public Garden Association Conference where I also saw some neat gardens. Larry O. worked on various indoor projects today while Larry H. went out in the gardens to retrieve lights. Bob K. continues to do a nice job rearranging the carpentry area at the Horticulture Center for maximum room. Vern popped in for some carpentry work and helped Bob K. Kay was in for more seed processing as we get ready to distribute seeds to our growers soon. We also saw Big John, Terry, Bev D., Dr. Gredler and many others today.